Hey, blogging pals! 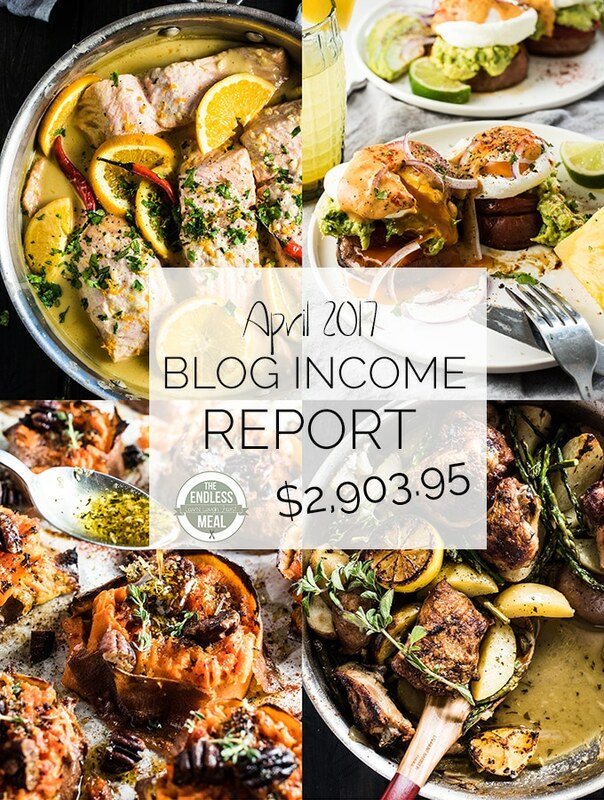 This blog income report is the once a month when I share with you some of the behind the scenes details about what goes into running a blog. For those of you who are curious about blogging, read on. 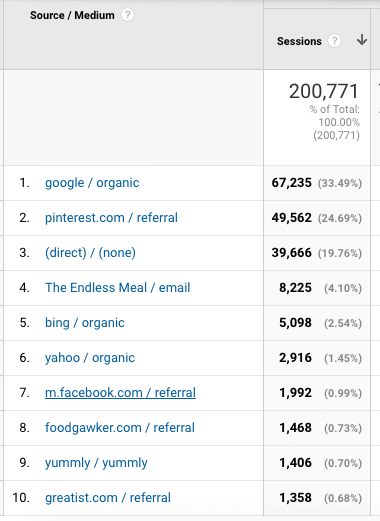 I share what the blog makes, what the expenses are, and some screenshots of the traffic the blog gets. This is your chance to snoop around! If you find yourself more curious after having a look around, make sure to check out my course #OhMyBlog. I created it to help new bloggers quickly and easily set up a successful blog. Warning: this is a big love fest for OptinMonster. Your email list is the most valuable tool you have. When someone gives you their email address, they are opening their door to you. When someone joins your list, you are also joining THEIR list of people they let into their online lives. Your email list is the one way that you can connect with your readers that cannot be taken away from you. Facebook and Instagram can shut down (unlikely, I know) or change their algorithms and suddenly all the hard work you put into building your following disappears. Your email list belongs to you. It cannot be deleted or taken away from you. Think of it as very special cargo. 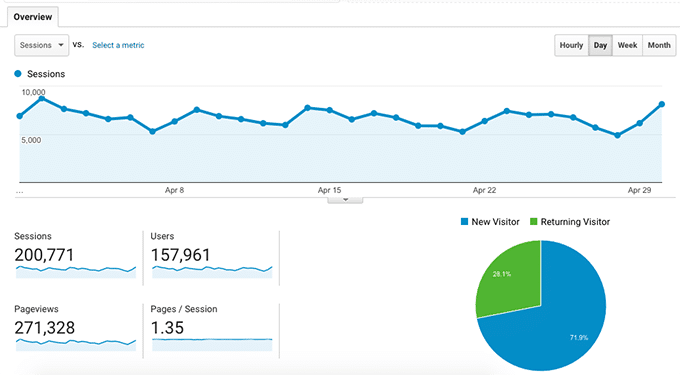 Last month, my hosting company (Siteground – LOVE them!) emailed me about a promotional offer they were having with OptinMonster. I've been testing out different tools to capture email addresses, and this one had all the features I wanted. In April, the forms that I created collected 1,214 emails. That's just over 40 emails a day! Considering that the average daily signup rate before OptinMonster was 13, that's a massive increase. The biggest reason I signed up with OptinMonster is the mad control you get over your optin forms. Honestly, I've barely cracked the surface of what these forms can do. You're able to create an unlimited amount of forms to optimize every page you have. Page Level Targeting: the ability to create specific optins for specific pages. This is ideal for your highest traffic pages. Mobile Optin Forms: This is what sold me. You can create mobile specific forms and choose whether or not your regular forms show on mobile devices. Mobile optins are more intrusive (they tend to take up the entire screen since the screen is so small) so I have mine set to appear after someone has been on the page for 15 seconds. Unlimited A/B testing: They make it very easy to test different optin features. You can duplicate an optin then change one feature to test. I'm currently testing the mobile optin to find the optimal number of seconds to wait before it pops up. Smart Subscriber Recognition: This technology recognizes when someone has signed up to your list so they're not shown the optin again. Few things are more frustrating than being a subscriber and constantly being asked to subscribe! Awesome Support: I've had to reach out a few times to tweak the look of an optin. Each time the support request was answered quickly with the information I needed. A good support team can make your life so much easier. Can you tell I'm big time crushing over OptinMonster? I *LOVE* these. I’ve been reading them for years and have always learned so much! I really need to check out OptInMonster. I started with a popup free Whole30 ebook giveaway months ago and my email list went absolutely berzerk, but I’d love to be able to track it better. And I loooove how you can track yours in GA. So cool! Awww thank you!! It’s amazing how a giveaway or free cookbook can encourage people to sign up, isn’t it? BTW: I signed up for your Whole30 book and it’s awesome! Hi, Thanks so much for sharing your income and process. There are no expenses listed relating to preparation of the recipes, like ingredients or equipment. How do you factor those types of expenditures into your planning? That’s a really good observation! I’ve started to track my food expenses this year, but haven’t yet added them to the report. Ultimately we do eat everything I make … even the recipes that don’t make it onto the blog. On average, my blog food expenses are around $400 a month.